Are you a group? Please do not hesitate to contact us if you want to organize your sea-kayaking tour, full-day or half-day, anywhere in Corsica! Based on your accomodation and preferences, we organize the tour that suits you best. 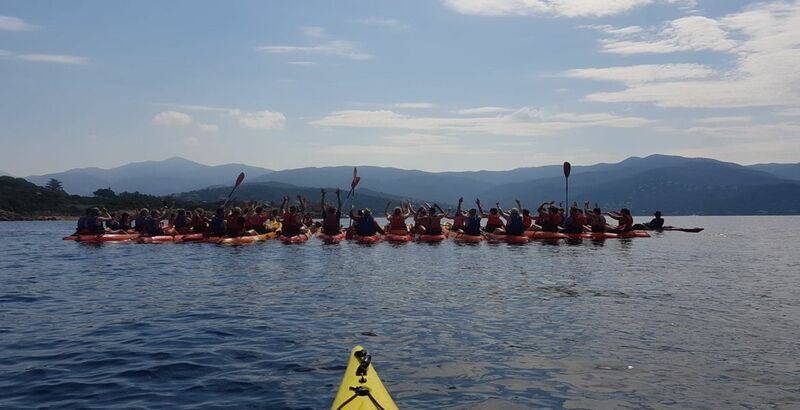 Cors'Aventure has the biggest kayak flotilla in Corsica : 50 double seater kayaks for 1/2 day of full-day tours!